The Musee Air France has several spaces in a building located in the heart of Paris where there are preserved documents and many different objects including original models, uniforms, posters, etc that they also restore, but unfortunately these are not open to the public, only to members of the Association Musee Air France and to researchers upon prior request. 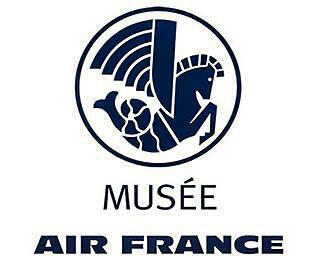 However, there is some good news, as the Air France Museum Association loans out different documentation etc for exhibitions within other museums in Paris, and one of the museums they work closely with is the Musee de l’Air et de l’Espace located at Le Bourget Airport, which was the first airport in Paris. And in fact, during 2013 you can see documentation such as bar panels, menus and more in a space dedicated to Air France with the intercontinental jets such as B707 that was the first Air France long haul jet aircraft that started to compete against shipping. And this exhibition is being shown at the Palais de Chaillot within the Musee de la Marine Museum. Yet in the collection, which you may be privileged to see at some time or another include scale models from 1:20th to 1:200th along with original models from the start of operation of aircraft plus later models in many different materials. Uniforms also play a very important role in branding any company and Air France have had uniforms for well over 60 years, yet the company wanted to show that they were the messenger of French creation all over the world. So, by the 1960s they were asking the biggest names in fashion such as Christian Dior, Nina Ricci, etc to design the uniforms of the hostesses, and there are original documents, drawing etc along with uniforms themselves that they have within their museum collection. Now, as we mentioned earlier, unfortunately the museum is not actually open to the general public, yet the documentation centre is open to historians, researchers, writers, film makers and students on a Monday to Friday from 1pm through to 5pm, but you can always find out more and watch archive footage at their website. 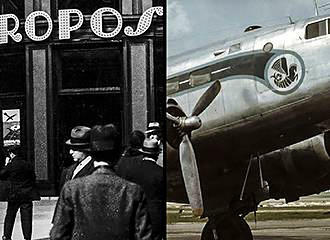 However, there is a shop or boutique located at the Association Musee Air France offices where you can purchase posters, copies of paintings, lithographs books on aviation, the history of airlines and much more, along with models some of which are produced in limited numbers and come with their own limited edition certificate. And the boutique is also open on a Monday to Friday from 1pm through to 5pm. You will find this boutique and the research centre located at the Aerogare des Invalides, which generally translates to Terminal of the Invalides, in the 7th Arrondissement of Paris close to the River Seine in one direction and Les Invalides with its museums and the Tomb of Napoleon in the other. And the nearest Metro station is called the Invalides stop by the Quai d’Orsay and the Pon Alexandre III bridge in Paris. 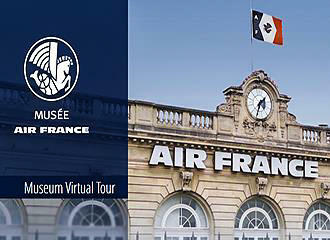 The Musee Air France Museum was set up to preserve documents, models, film archives and much more for the history of Air France and brings together different collections that are exhibited through other museums in Paris. 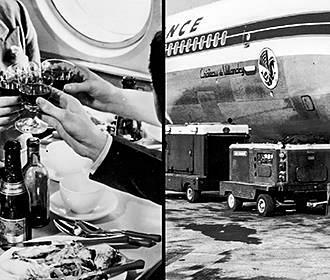 Before the airline became known as Air France, the history goes back to 1909 when they were the first air transport company in France and there was an original museum section of the company founded back in 1972. But since 2001 the Association Musee Air France has been working with the company on the history, cultural, enhancement and development of the patrimony of Air France, with its main aims of preserving documentation and accumulating additional items relating to the history of Air France and the original companies that were the start of it including Air Inter, Air Orient, UTA and l’Aeropostale.